For the adventurous spirit, there are many scenic and beautiful destinations throughout Italy that are easily accessible from Fonte Martino. Choose from the many ancient hilltop towns or wineries just a short drive away or from destinations that make a wonderful day-trip. It will be our pleasure to offer destination suggestions so that you can experience picturesque Italy. Located only a short 5-minute drive from Fonte Martino is The Church of the Madonna di San Biagio. Constructed between 1518 and 1580, it is considered a masterpiece of 16th century architecture. 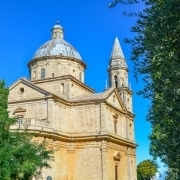 Just below the town walls, this Renaissance church comes into view perfectly framed as you drive down the cypress-lined lane. The interior marvels the beauty of its exterior and is a must see during your stay. 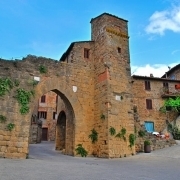 Pienza is a picturesque town just a short drive from Montepulciano and home to world-famous Pecorino di Pienza cheese. Pope Pius II had the town completely rebuilt in the 1400s as an ideal Renaissance town. In 1996, Pienza became a UNESCO World Heritage Site and in 2004 the Val d’Orcia, the valley Pienza towers over, also became a UNESCO World Heritage site. 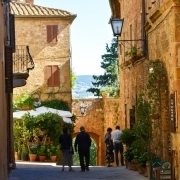 Pienza has many fine restaurants, shops, and excellent photo opportunities of the Val d’Orcia. Located between Montepulciano and Pienza, Monticchiello is a small medieval village surrounded by a wall dating from the 13th century. This small Tuscan village is located in the beautiful landscape of the Val d’Orcia. Monticchiello is most famous for the curvy stretch of road lined with beautiful tall cypress trees depicted in so many movies and photographs of Tuscany. 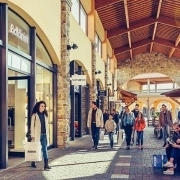 Valdichiana Outlet Village is a modern shopping center located in the heart of the Valdichiana. It houses over 140 famous designer and brand shops that offer 30 – 70% discounts all year round. 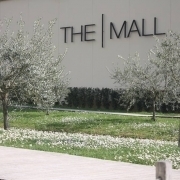 Visiting Valdichiana Outlet Village makes a great day to enjoy a little Retail Therapy! 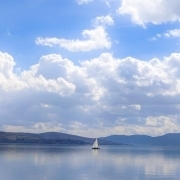 Visible from Montepulciano, Lake Trasimeno is Italy’s fourth largest lake and is only slightly smaller than Lake Como. There are a variety of towns and activities that surround the lake, which makes it an enjoyable excursion from Fonte Martino. Castiglione del Lago: Located on the southwest corner of Lake Trasimeno, Castiglione del Lago is a well-preserved charming town that features quaint restaurants and shops. Each April/May, the Coloriamo i Cieli Festival (Color the Skies) is held. It features light aircraft, hot air balloons, and a sea of thousands of colorful kites that fill the sky. Passignano sul Trasimeno: Encircled by middle age walls, Passignano sul Trasimeno rests on Lake Trasimeno and is a town with many activities. The most popular are the water-sports that include swimming, boating, and sailing. 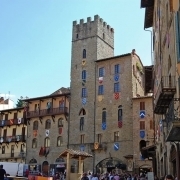 On the third Sunday in July, the Palio delle Barche is held. This is a traditional boat race in which the participants dress up in medieval costumes, parade their boats through town on their shoulders, and then race them on Lake Trasimeno. 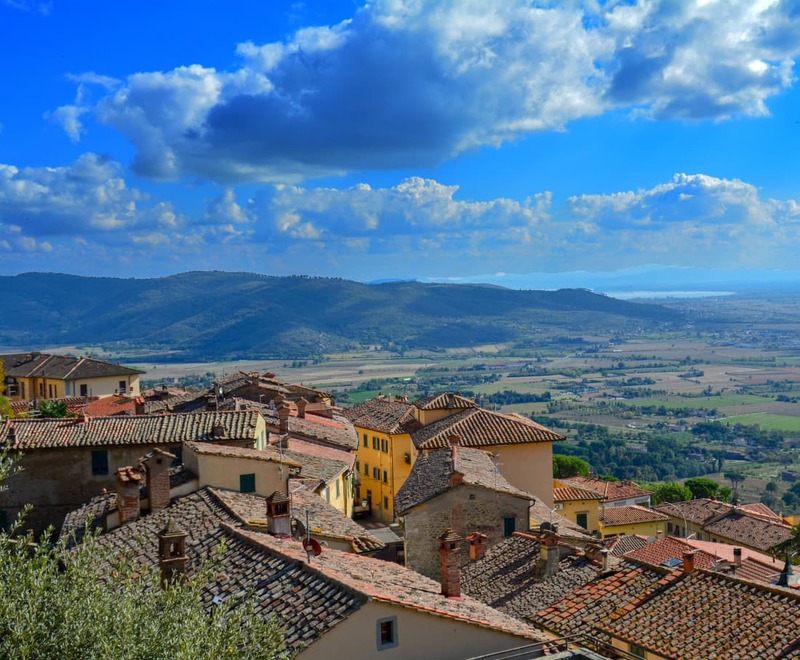 Enclosed in ancient stone walls, Cortona is a charming town that made a name for itself for being one of the main characters in Frances Mayes’ heartwarming book Under the Tuscan Sun, which later became a feature film. 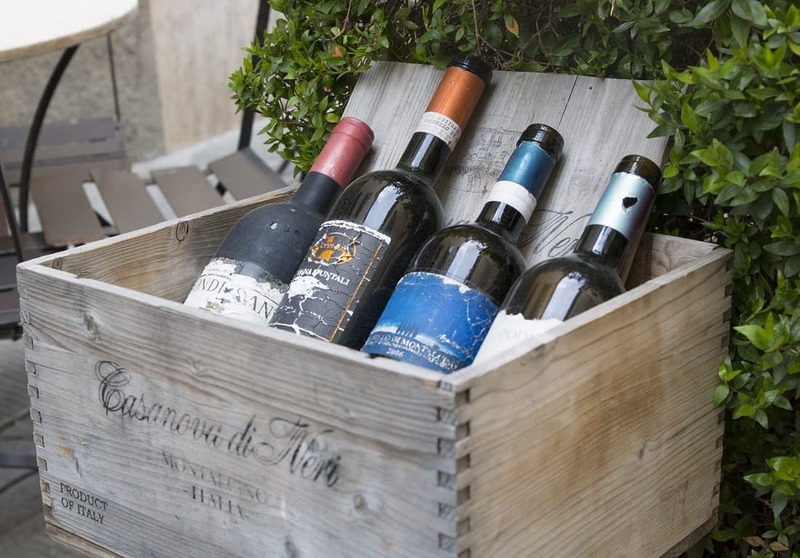 Cortona has many excellent restaurants that serve local dishes of the region. Each year on August 14th, 15th, and 16th, Cortona holds the Sarga della Bistecca, a festival to celebrate steak and all the mouth-watering ways it can be prepared. 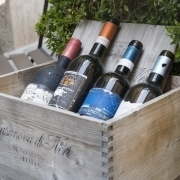 Most famous for its Brunello di Montalcino wine, Montalcino is located between Montepulciano and Siena. 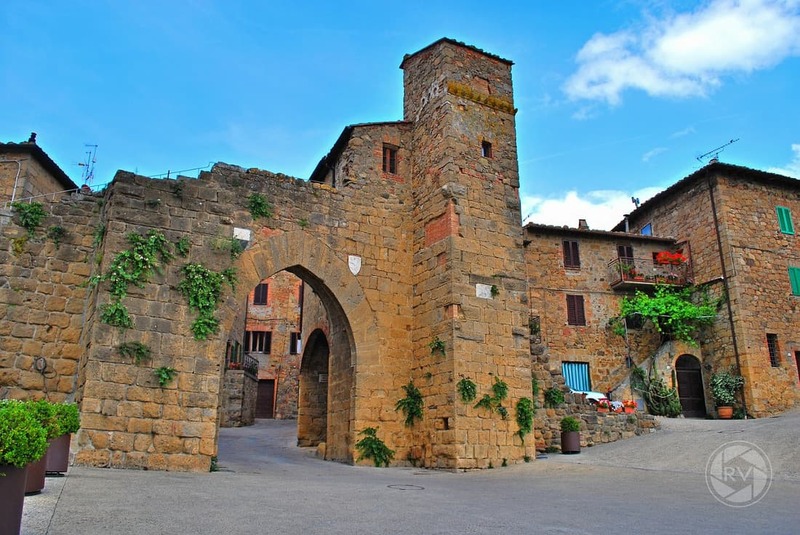 First settled in 814 AD, Montalcino has many noteworthy monuments dating back to the 14th century including its Fortress, the Church of Sant’Egidio, and the gothic Roman church of Sant’Agostino. 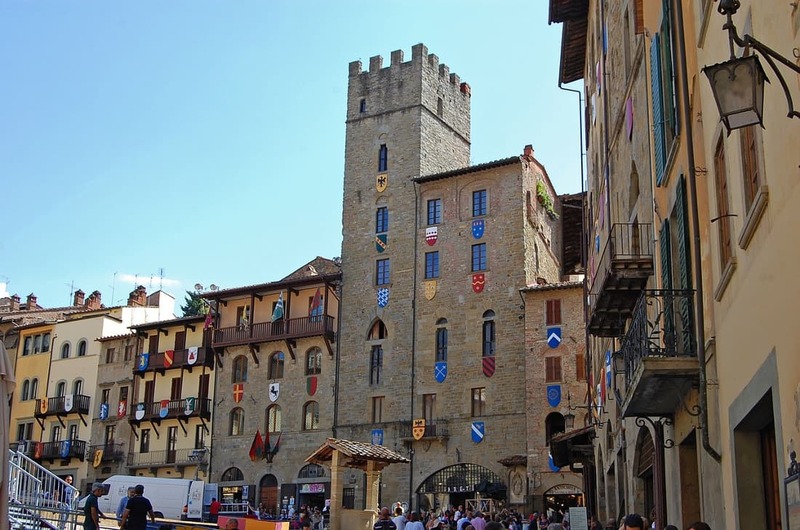 There are always surprises when visiting Arezzo, from designer shopping to medieval jousting tournaments. Also, be sure not to miss the monthly flea market that lines the historic streets. 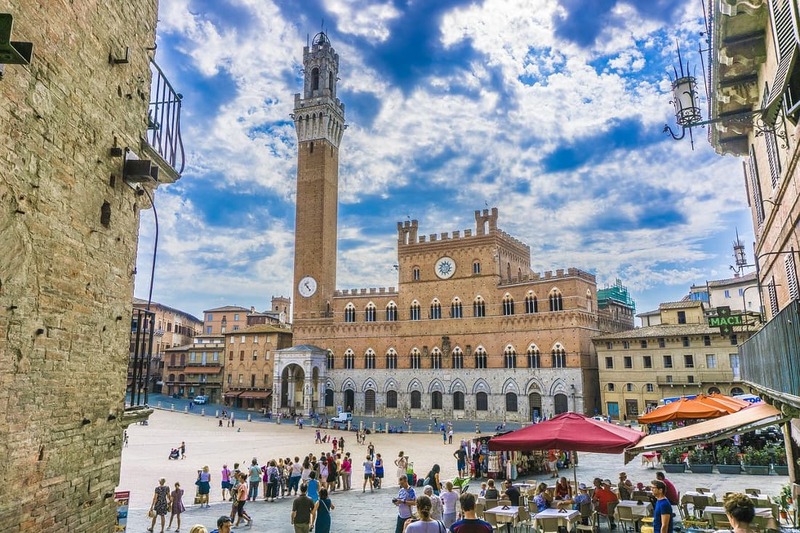 One of Italy’s most visited cities and a UNESCO World Heritage Site, walking the streets of Siena brings back a feeling of medieval times. 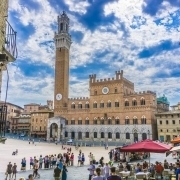 Twice a year, the Palio takes place in the breathtaking Piazza del Campo, the main square in Siena. The Palio is a horse race that occurs in July and August and is attended by huge crowds and televised nationally. Another must-see is the Siena Cathedral. It’s interior and exterior are simply breathtaking. 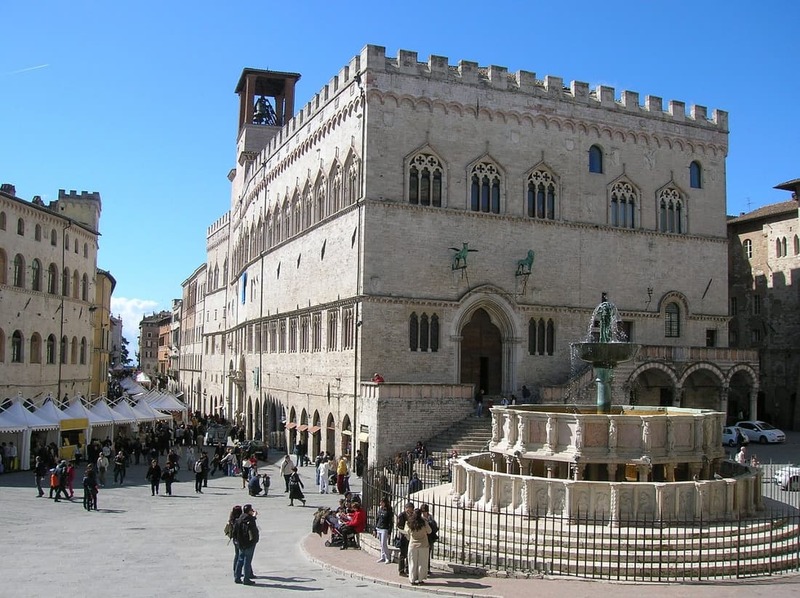 Siena is an easy day excursion from Fonte Martino. 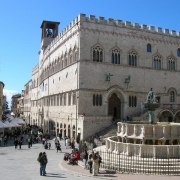 Perugia, the capital of Umbria, is known for its culture and arts. The city hosts many festivals throughout the year. In July there is the Umbria Jazz Fest and in October, there is the EuroChocolate Festival, the largest chocolate festival in Europe! 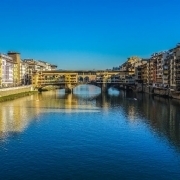 Florence, the capital of Tuscany, is world-renowned and home to many Renaissance masterpieces of art and architecture. Visit Galleria dell’Accademia to see Michelangelo’s “David” and the Uffizi Gallery to see works by Leonardo da Vinci and Botticelli. One of its most iconic sights is the Duomo and accompanying bell tower. For a breathtaking view of the city, climb either to reach rooftop observatories. 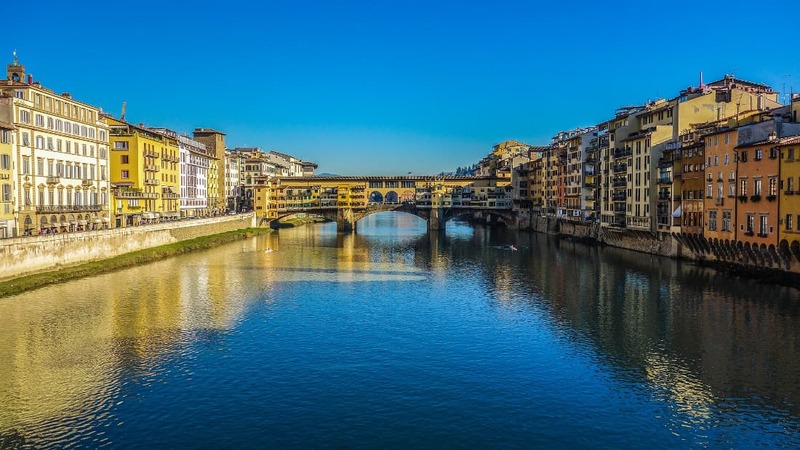 Looking for gold jewelry, don’t miss the Ponte Vecchio. This beautiful pink marble hill town in Umbria was the birthplace of St. Francis, Italy’s patron saint. Visited for centuries, travelers have made pilgrimages to visit the Basilica of San Francesco, where St. Francis lays in rest. 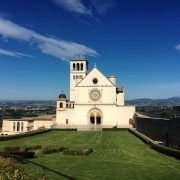 Rich in history, restaurants, and architecture, Assisi is an inspirational town to visit. 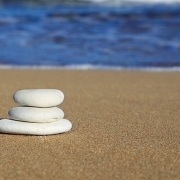 The beaches located in the Maremma are considered the best in Tuscany. With sands ranging from sugar white to lava black, you can’t go wrong visiting this spectacular coastline. These pristine beaches are only a short drive from Fonte Martino and will transport you to another world of blue skies, turquoise waters, and golden sunshine. The Maremma beaches are perfect for beachcombing, swimming in the tranquil waters, and exploring rocky coves. Consider visiting the sea-side town of Talamone, known as the Monte Carlo of the Maremma. See beautiful grand mansions and a sea of private yachts, all surrounded by steep jagged cliffs. Talamone is so beautiful, it’s no wonder it was featured in the James Bond film Quantum of Solace. 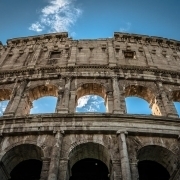 Just hearing the name “Rome” conjures images of the Colosseum and gladiators. With its many attractions including St. Peter’s Basilica, the Pantheon, the Trevi Fountain, the Spanish Steps, and many more, it’s very easy to see why the capital of Italy draws millions of visits every year. Lucca is the perfect size town to see in a day. 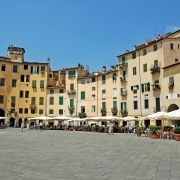 Filled with many quaint shops and restaurants, Lucca is surrounded by an ancient wall that has become a pedestrian promenade. Take a wonderful stroll around the wall or better yet, rent a bicycle for a unique experience! 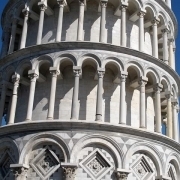 Just saying the name Pisa conjures images of its iconic Leaning Tower. Completed in 1372 and already leaning, one can only wonder while looking out from its rooftop observatory how it is still standing almost 650 years later. Be sure to venture into Pisa to view all this historic city has to offer.